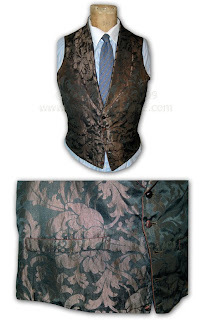 The interest in vests or waistcoasts seems to come and go. Well, it's back again. Golden Globe Award nominee Simon Baker stars as Patrick Jane in The Mentalist and he wears vests. We just shipped two period vests to Texas but have a few left; have a look at: our online shop.